Training athletes for the highest level of athletic competitions on the planet is not very easy. Only the best of the athletes make it to these athletics extravaganza. This requires enormous training to qualify for these important global events. This is more so when it comes to training athletes for the Paralympics. Athletes with disability have special needs that must be taken into consideration during training. This brings the trainer into the picture. Just like it happens with the Olympic Games, athletes with disability require proper and adequate training. This is the only way if they can succeed to not only in participating effectively in the Paralympics but also in winning medals and recognition. If you have been wondering what training these athletes entails, let’s share some insights. It should be clear that the range of games is diverse different games will have different training requirements. The nature of disabilities is varied too; this introduces a different challenge to training disabled athletes. So what are the general requirements needed for training disabled athletes for Paralympics? The types of games for the disabled is now growing. In fact, these athletes can participate in almost all sorts of Olympic sports. These include: alpine skiing, badminton, cross-country skiing, power lifting, swimming and many others. What does this imply? It means the trainer must be well equipped with the skills and competencies to train the athletes. It goes without saying that just like there are training equipment for the normal training, there is too specialized Para-equipment meant precisely for the different forms of disability. Any effective training programs for these athletes require the trainer to ensure the equipment is fit for purpose. For instance a normal transport wheelchair will be the wrong equipment for a Paralympic who will use a Para sport during the games. Having the right equipment and using it the right way is a sure way to minimize chances of injuries to occur. 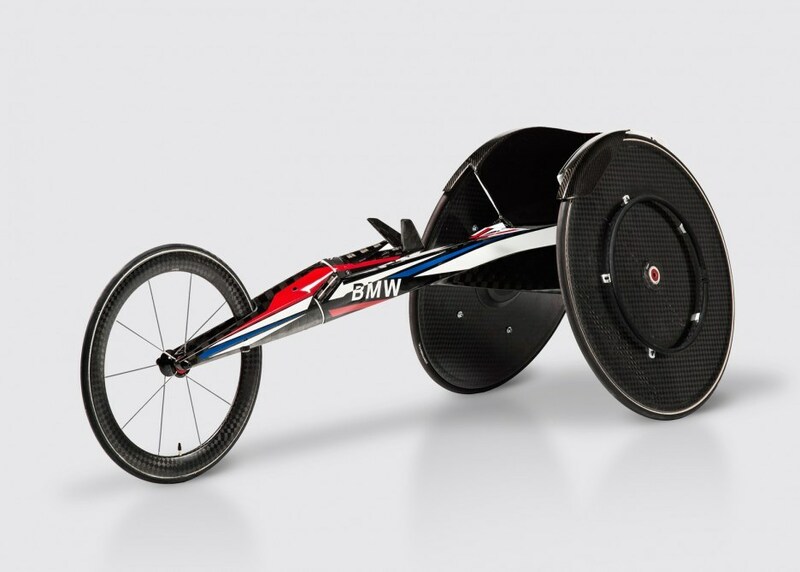 DesignWorksUSA joined forces with BMW to create an aerodynamic wheelchair that they claim takes off 15 per cent of the drag during racing. Thecarbon fibre frame is significantly stiffer than aluminum and therefore helps to prevent shock absorption. Training hard is necessary for better performance in the Paralympics. The problem is that just like in any other sports training, training disabled athletes often also lead to injuries. Physiotherapists come in handy here. The focus is not just on reactive injury prevention but more so on injury prevention as well. With the right mindset, everything can be done. This is proven many times by all the athletes competing in the paralympics. With their constant training, their focus requires high concentration to be able to master techniques. In return, the athletes gain confidence of themselves and have a strong life purpose to do their best. There are sports facilities that offer group training for group sports people. The advantage of this arrangement comes with the synergy it creates. Athletes, coaches, physiotherapists and strength coaching specialists are in close proximity of one another and the support teams make use of this setup to the advantage of all the athletes present. As the games draw closer, team training becomes critical. The interdisciplinary teamwork in training of disabled athletes enhances collective responsibility of taking care of the welfare of the athletes. Arjola Dedaj, a Paralympic blind athlete, trains every morning and sometimes two afternoons per week. 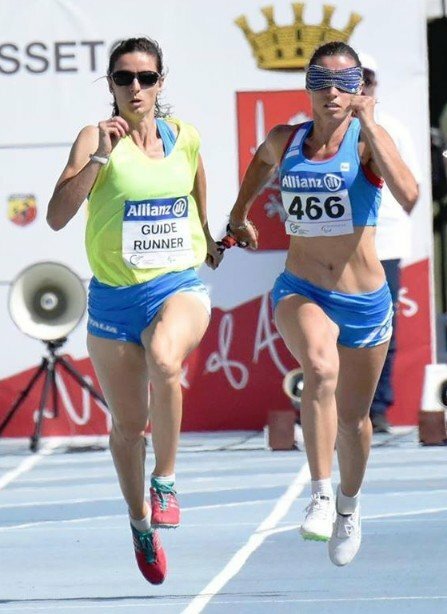 Her specialization of 100m, and 200m run and long jumps required her to step count while on training. She focuses to maintain dynamic balance and postural control to be able to stay within the marked lines. Together with her guide athlete, they monitor her performance, do periodic evaluations, feedback and her daily physical efficiency. 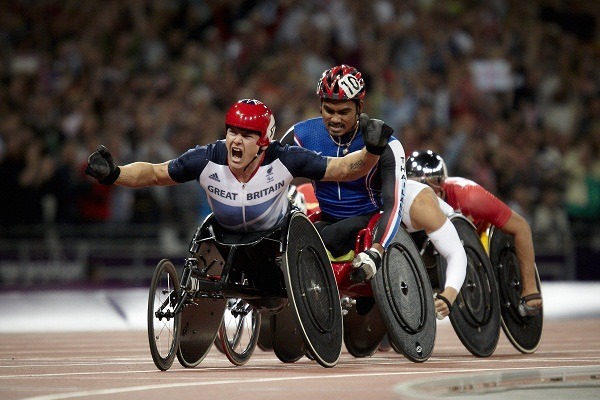 David Weir, the celebrated Paralympic 'superhuman' sums up how to train for Paralympics nicely. He should know, after being a big success in wheelchair racing during the 2012 London Paralympic games. What was his secret? He doesn’t deny, the training was hard; but his coach Jenny Archer had him train with a group of elite cyclists. Three- time paralympian Cindy Ouellet has joined #ParaToughChallenge as a way to raise funds to continue to supporting future paralympians. Since joining wheelchair basketball, she has won medals internationally and have been awarded Wheelchair Basketball Canada Female Athlete of the Year in 2016. Check out how she, together with other Paralympians, train for upper body power in the video. Martha Reuther, born 16 weeks prematurely and was legally blind (her right eye has a 20/400 vision but the left eye is blind), strived to live the most of her life by joining swimming early on in her 1st grade in school. She swam year round and working out in the off season to keep her body in good condition. She learned hard work and discipline with her food, workout, and training early on even before she started joining for the Paralympics. She has been competing at international competitions since 2013 and became a one-time Paralympian last 2016, and is looking forward to more races. Granted, disability does not prevent these athletes from participating in Paralympics. However, qualified training professionals, great equipment, and their own strong will and determination are vital ingredients in any program for training athletes with disability. Goes to show that people with disability ​are not at a disadvantage, and that each one has their own unique oppportunity and offering to this world. You can also check out travel bloggers on wheelchair that is making a difference with accesibility awareness.